There is much talk about how to manage your stress through mindfulness and living a balanced healthy lifestyle. Move, breathe, and eat well. But did you know how important what you eat and how you digest really is to your overall mental health? Yes, its true! There is no denying it anymore. 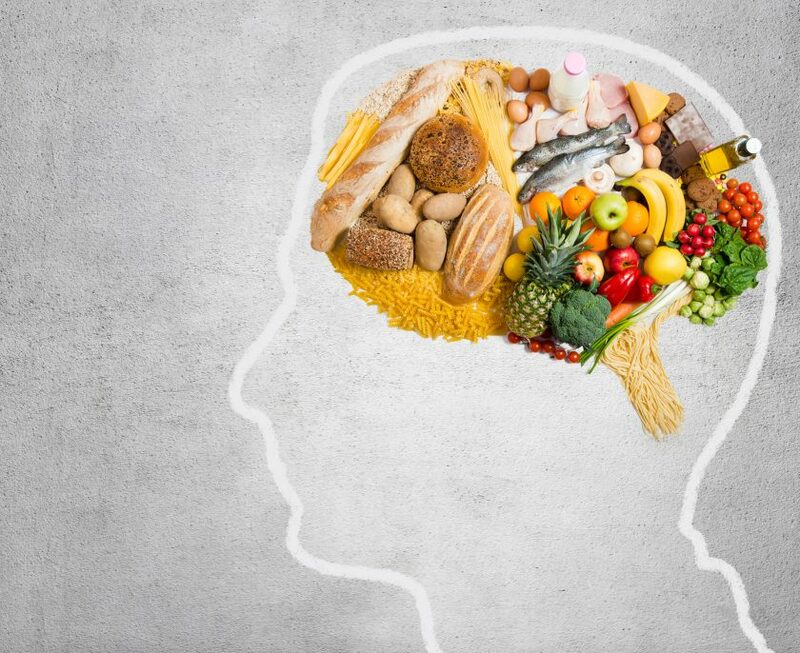 With more scientific discoveries coming out about the vagus nerve, the enteric nervous system, and the amazing influence your gut microbes can have, it’s no wonder what you eat feeds not only your body but can directly affect your brain. I find it amazing (but not too surprising) – after all, we are an intricate system from mind, body and energy! That’s why I named my company Nourished Union – as its critical to nourish every layer of our being, to be whole and well! So, to be well means to be aware of the intricacies of our being, and how they connect. And one of the greatest connections is that of the gut-brain! It’s very complex, and to be honest, we’re still learning lots about it! I’ll briefly touch on these areas, and end off with a delicious recipe! The GI tract has its own nervous system – the enteric nervous system (ENS). In fact the ENS can operate on its own, separate from the central nervous system (CNS). The ENS contains some 100 million neurons. Because eating and drinking is a huge portal where disease-causing critters can get into your body, it makes total sense that much of our defence system would be located there too, right? Seventy-five percent of our immune system is in our gut! A variety of minimally-processed, nutrient-dense foods is required, because no nutrients work alone. And a key thing to remember is that the food we put into our body, directly affects the whole. It affects every major system from the lymphatic, cardiovascular, nervous and adrenal systems. The information the food provides us goes beyond giving us essential nutrients, calories and fats that support the physical body. It also affects our hormonal balance, how we feel and behave. Conversely – long standing stress can negatively affect our healthy microbiome. So managing stress and our hormonal balance is key – or it doesn’t matter how much good food you are eating, or how well your digestion is functioning – your microbiome will be unbalanced, which can cause dis-ease somewhere else in the body. Resulting in weight gain, anxiety, depression and many other diseases. Remember – the two go hand in hand. Eat to support the microbiome, and live in balance with the mind and body to support the brain and stress levels. There are a few key ways to feed your brain. Consider adding more fiber and omega-3 fats into your diet. Fiber (in fruits, veggies, nuts & seeds) help to feed your awesome gut microbes. And omega-3 fats (in fatty fish, walnuts, algae, and seeds like flax, chia, and hemp) are well-know inflammation-lowering brain boosters. Tip: Your gut microbes love to eat the fiber in the dates, oats, seeds, and nuts – which will support good digestion. Meanwhile, your brain loves the omega-3 fats in the seeds and nuts. This recipe is Ayurvedic – and is great in the fall/winter season. It is warming and the combination of grain, fats and fiber will support nourishing and oiliating the body and brain. Try the recipe and share your experience! Previous PostCan My Symptoms Actually Be a Food Intolerance?Next PostEverything You Think You Know About Healthy Eating is Wrong (and it’s Making You Fat and Tired)!